The yellow trees in this image are Larch. Larch is a rare species of Coniferous Deciduous trees that has pine needles (Coniferous) but change to yellow in autumn and drop off like leaves (Deciduous) every year. 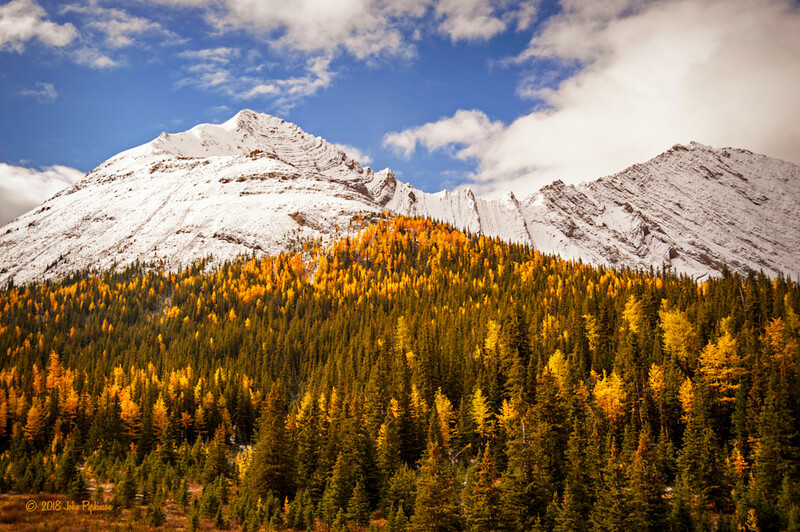 This impressive stand of Larch was discovered in the Kananaskis area of southern Alberta, Canada, in late September after a recent blanket of snow covered the background mountain peaks.